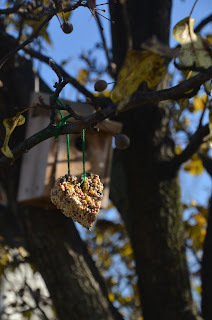 Kids love giving treats to their feathered friends. 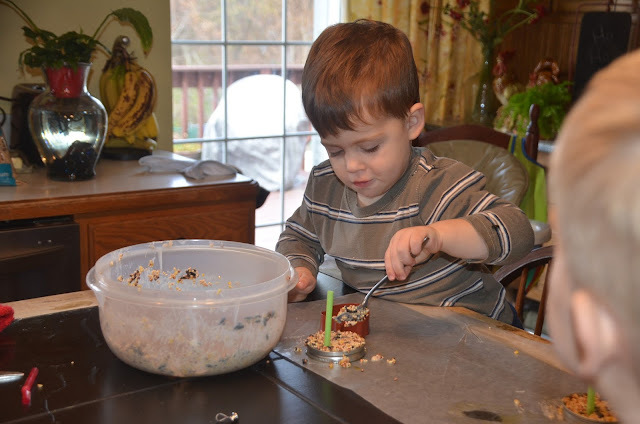 it is amazing how quiet and still a two and three old can be - completely memorized. 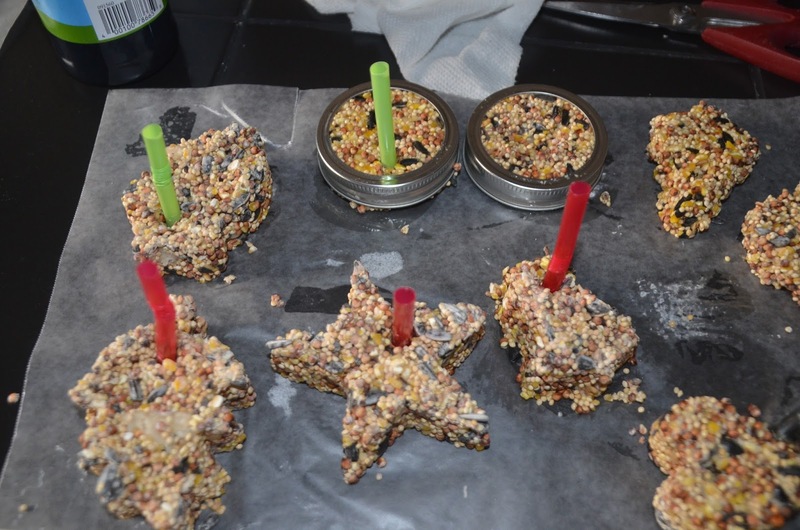 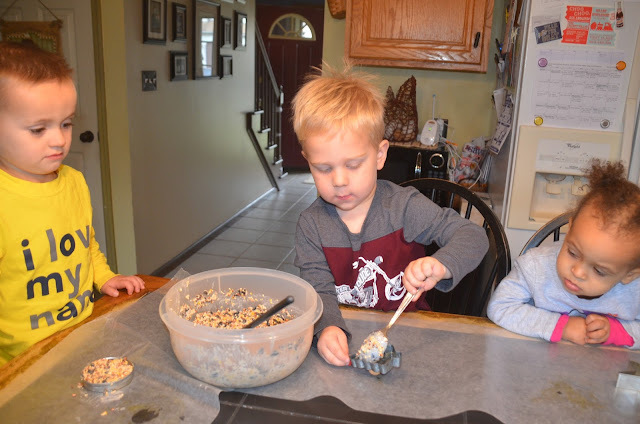 We made bird seed ornaments to hang outside for our birds to eat and have winter treat. 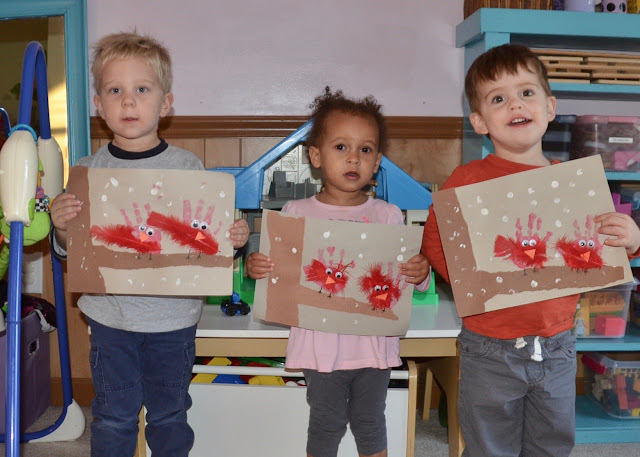 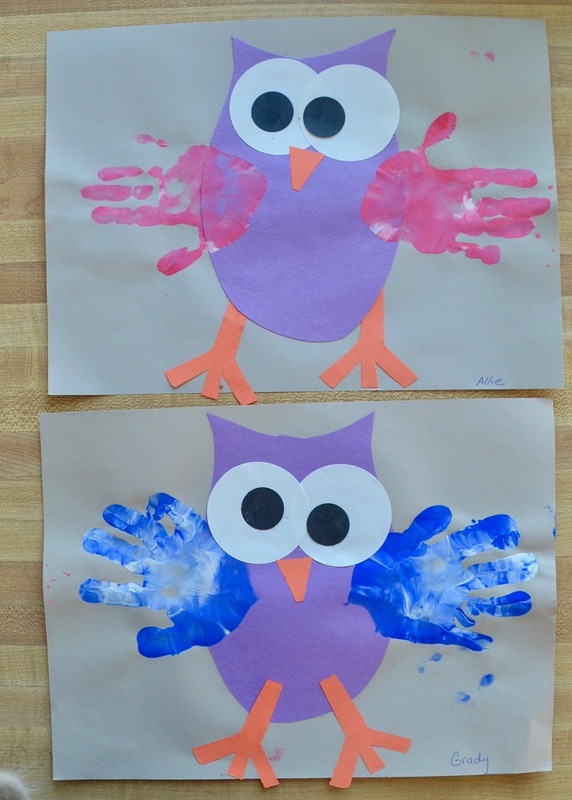 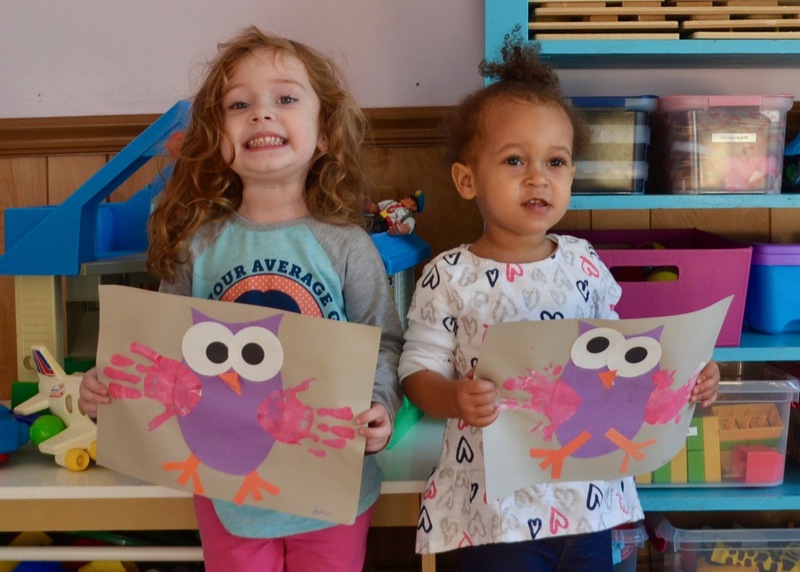 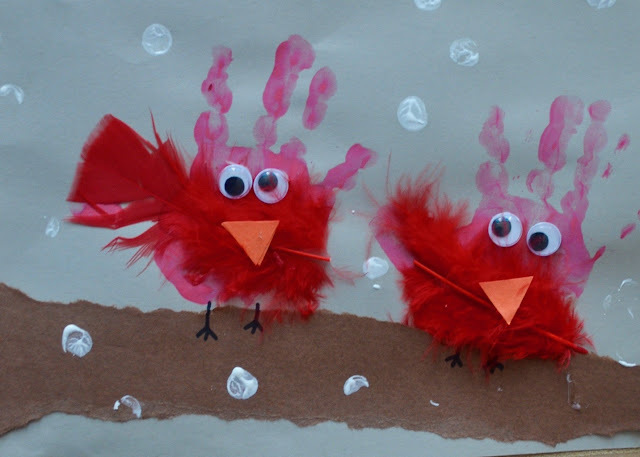 We also had a few handprint crafts making cardinals and owls. 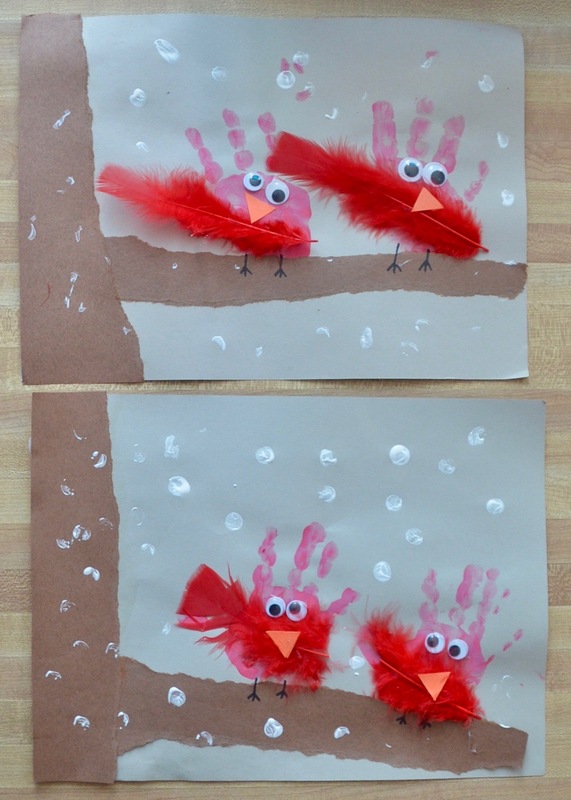 You can scroll down to see these cute crafts. 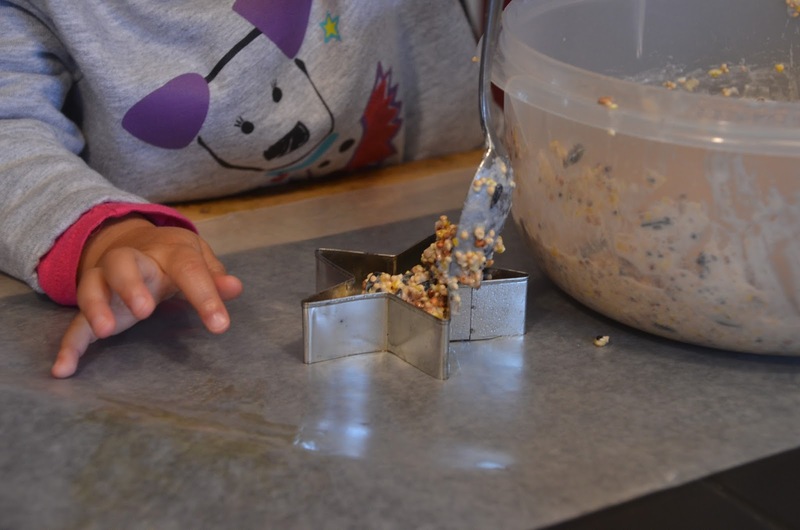 This was messy and perfect for toddlers to get gooey with. 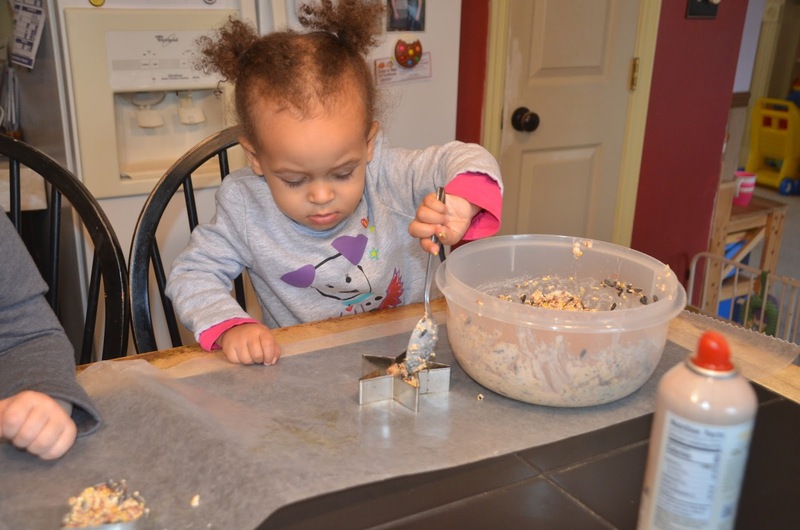 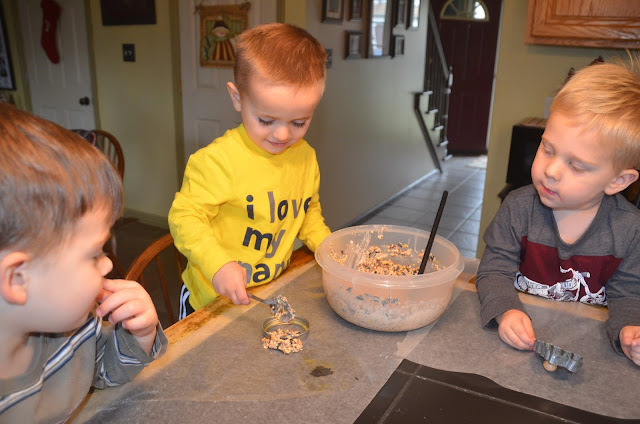 I found this recipe HERE if you're brave enough to try with your toddler.